I got a couple of terrific surprises at Fan Expo this weekend, (…I mean, aside from all the friends, fun, food, costumes, sales and general silliness that comes with the whole event)! 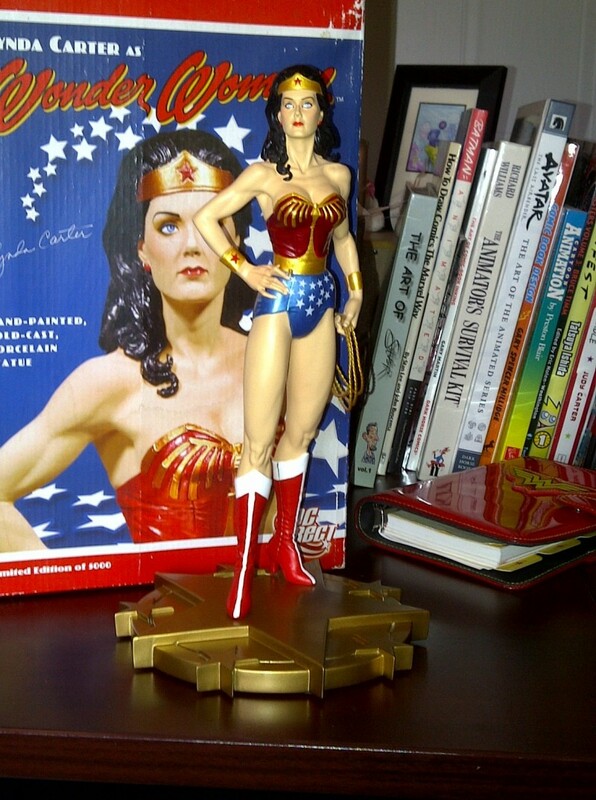 The first being the limited edition, Lynda Carter, Wonder Woman statue (right), that the super amazing, sweet guys from the Sarnia Pop Culture Festival and Future Pastimes got for me! For anyone who doesn’t already know, I’m something of a Wonder Woman junkie. In fact, when I die, it’s entirely possible that my office will be sealed up and declared an Amazon shrine. The second big treat, is this slick piece of fan art (below) by the amazing, Chad Porter! It’s a follow up gag to this comic (wish I’d thought of it), and will be the first piece of Fiona-free fan art in the gallery.